This latter may run as high as 10% of the population we are now realizing. I’ve seen some sources cite as high as 14% and even higher in one case. Not rare at all! Just rarely recognized. Find best articles for your doctors to learn more here on my MCAD resources page. All forms of MCAD cause what you might call “extra” allergies & sensitivities in the absence of elevated IgE for same that your allergist can’t easily test for due to the the lack of IgE mediators driving it. You may have plenty of “regular” IgE drivin allergies also, but those can be diagnosed more easily. Yet we suffer from over-activation of our mast or “allergy” cells which are throughout your body but especially the skin and GI tract. Folks with Mastocytosis have too many mast cells in clumps in various places which may also be over-active. Folks with MCAS have normal or lower numbers, but they are still highly reactive and too easily triggered making them very sick still. MCAS is not necessarily less severe than masto either – some patients with “just” MCAS can be more anaphylactoid than some masto patients. It really varies. You can be just as reactive and go into anaphylaxis from MCAD as from “traditional” *(IgE-mediated) allergies and (IgG) sensitivities, but also to non-protein substances including chemicals like chlorine and fluoride, scents, hormones, exercise, temperature changes, stress, sunlight and vibration to name a few. Yes, crazy making and challenging to live with! And partly why the MCA diseases are so hard to recognize – they drive and/or mimic many other diseases and conditions, much like a chameleon. They’re hard to differentiate and properly diagnose for everybody. Many people accidentally use the term MCAD to mean MCAS only, and many use the two terms interchangeably. (It doesn’t help they are off by only one letter either.) While technically incorrect, in the end, it’s the inappropriate mast cell over-activation in all cases that is aggravating us and sending us to the doctor (no matter how many mast cells we have and in what shape) so I don’t get too worked up about it. Just be sure to rule out mastocytosis when appropriate. And not use mastocytosis as the umbrella term as I’ve seen some do. Anaphylaxis comes in grades by the way, though doctors and EMTs are usually only interested or concerned with the highest levels/throat closing signs since that’s when it can kill you, and is what your school nurses are constantly watching for. Knowing the milder signs/levels can help you stay calm and medicate in time (or get away from a trigger) to help avoid it escalating to that level. (Staying calm really helps.) No two people will have the same course of symptoms when reacting either. Some also react slower than others – we call ourselves “lucky leakers”, vs shockers. Finding this info useful? I can really use your support at any level here, TY! So When to Suspect It? Variable blood pressure (BP), may run quite high or low on average and can swing widely at times. Some have a spike with anaphylactic reactions, followed by later drop. Sudden onset aphasia, or loss of words or speech, slurred speech or “word salad” that clear up after the reaction/stress subsides or with anti-histamines or mc stabilizers (be sure to rule out stroke! as well as epilepsy). Sensitivities or anaphylaxis to any and all drugs, fillers, dyes, additives, preservatives, fluoride, chlorine, etc. We can react to any degree to almost anything, truly. (Yes, crazy making for all.) Sometimes it’s not the active ingredient, but a dye or filler. Or the fact you were upset when you ingested it. Again, this list is neither official, nor comprehensive, but is a start for when to suspect these very tricky to diagnose Mast Cell Activation Diseases. A very large dose of patience is in order – very few doctors are up on the the prevalence of the conditions yet even in May 2016 – nor know how to diagnose (very tricky, no single easy test for all) and how to treat (equally tricky: no single easy medication course works for all, and you may react to any and everything including known helpful medications for others – always start low and slow until you know). 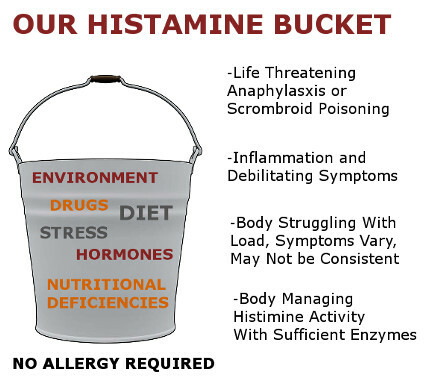 Generally avoiding stress and high histamine foods (leftovers, ground meats, fish) and taking anti-histamines seems to be helpful on the whole. Common comorbidities include heritable connective tissue diseases (especially some forms of Ehlers-Danlos Syndrome, notably the more common hypermobile type or a Hypermobility Spectrum Disorder), Fibromyalgia (often misdiagnosed hEDS or HSD in milder form), migraine, high cholesterol (increasingly recognized as a a sign of inflammation and not dietary driven), diabetes, auto-immune diseases of all kinds, CVID and all forms of primary immunodeficiencies (tendency to get sick easily and often), UTI’s, IC, easy bleeding (in absence of von Willebrands) and bruising, APABS (anti-phospholipid anti-body syndrome) and much more. 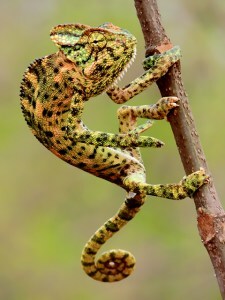 I’d like to suggest the chameleon as our official mascot: I’m starting to appreciate just how many diseases MCAD both mimics, and drives while going unrecognized for what it truly is. I will add to this list as able. Again, it’s not meant to be comprehensive nor official yet, just suggestive. Consult a savvy allergist to start, followed by a hematologist who is aware of MCAS as well as Mastocytosis if possible. The problem is, we’re so darn sensitive and metabolize so differently, that no two patients will experience same course of treatment, and it’s all trial and error. Sometimes you may react to a med, but it’s really just the filler in a tablet you’re reacting to, not the active ingredient itself. Many patients find compounding their meds to work better in that case. Again, you can only learn through trial and error sorry. You mention sensitivity to “vibration”, are you able to expand on just what you mean by that term, and give some examples? Thank you! Yes. Many of us find the vibration from car and plane engines to make us get suddenly drowsy/pass out if not fully react. I passed out on a short hopper flight that used a prop jet back east last time I tried one. (I’m better on the bigger planes so far.) I struggle to drive very far at all and take many safety breaks. One fellow patient told me she can’t ride on the back of her boyfriend’s motorcycle – she literally passes out and falls off, yikes! I did find that it’s worse whenever I’ve taken an opioid, but it still happens to some degree even when I have none in my system for over a week. HTH. This is me!!! I can rarely drive for more than 20 minutes without getting very drowsy. Thankfully I rarely have to drive that far and when I do I almost always have a friend or my fiancé who can drive me to the place. OMG! For YEARS, whenever I drive and particularly when there’s traffic (i.e. the car is “idling” and the vibrations are more noticeable), I get flushed and have to rush to a bathroom! I thought it was just the car “jiggling” my insides and making everything have to move! Glad to know this is a thing and I’m not just wacky. I actually had to buy a particular type of car that had VERY low vibrations, and now that it’s getting older, it’s vibrating more and making me want a newer one. Hmmm…. thank you! Ha! I like that – yes, we are mysterious – and quite patient – indeed! I have been diagnosed with TMEP but also have symptoms of systemic mastocytosis as well. I am seeing an allergist tomorrow. Fairly certain that there will be a skin prick test done will it show any allergies caused by masto? Seems like all I have read online suggest that the testing wouldn’t be useful in cases of mastocytosis. I am so lost and it seems my primary care doc has no clue what to do with me. So a little clarification is in order: Masto itself doesn’t cause “true” allergies which are IgE-mediated reactions. But it can lend to their being heightened in those who have allergies. And… you may find you react to some things >even in the absence of a IgE< lending to the confusion. I'm now convinced my underlying MCAS lent to my increased reactions to the skin prick tests of my youth. (My arms/back would swell up quite huge very quickly, causing them to wipe the serum off!) This comes from having a heightened histamine level over all in our bodies, making us sort of "hair-trigger" ready to react to almost anything. Some people have absolutely zero "true" allergies, that is, zero IgE-mediated reactions, yet are still very sick as though they had "allergies" because of either MCAS or Masto that hasn't yet been recognized. (Yes, TMEP is a form of cutaneous Masto I believe or a sign of at least a form of MCAD.) You may also have some true IgE-mediated "allergies" >in addition< to any underlying masto or MCAS. This just lends to your overall sickness level and reactivity. Does that make sense I hope? All forms of MCAD are rarely recognized, and some not at all yet, so this is often tricky to get allergists to see. HTH! You are my long lost twin! Haha I’m kidding, of course…but I have spent my whole life thinking I am the only person who is really like this. Though I would not wish it on anyone else, it’s exciting to know I’m not alone. You do sound just like me. You describe the symptoms fairly similarly to what I’ve always tried to tell people. Thanks for sharing! I am a nurse who has not been able to work due to severe anaphylaxis. I have had 9 reactions since August. Mostly to fumes and some unknown. Allergist is at his wits end. So I started researching myself. I have Celiac Disease and Adult Stills Disease. For many years I have suffered from severe arthritis, fatigue, unknown weight gain, salmon colored rashes (thought to be from the Stills), chronic diarrhea, GERD, edema, cold alternating with severe hot flashes, burning in GI tract, very sensitive to anything that touches my skin, the feeling of sand in my eyes, wet cough (smokers cough but I don’t smoke), asthma, dizziness, etc. My rheumatologist says that often there are many other diseases associated with autoimmune. I hardly leave my house because I react to everything. I found this site and plan on calling my rheumatologist tomorrow. After an anaphylactic reaction due to an unknown food, I finally had allergy testing today and it showed I was only allergic to venom (I’d had an episode due to yellow jackets once a couple of years ago). However, I had an outrageous reaction to the positive control histamine. For the intradermal test, the spot on my arm looked like a quarter with the thickness of a nickel was trying to push its way out of my arm and the lab tech/nurse said the redness was unmeasurable, and would have to be noted as the maximum of 45 rather than the three or so inches it truly was. I asked a lot of questions and she said I basically was allergic to myself by being allergic to the chemical histamine that your body produces. Basically, we’d found our answer, she said. When I mentioned it appeared I was allergic to histamine to the doctor, she said everyone is supposed to react to the histamine. And that was that. She had me have blood work done, and I am supposed to go back in two weeks. Should I call her and further explain what happened in the lab? I feel like I came home so empty handed. She did say she expects the blood work to show nothing and suspects mast cell issues, though she seems more mystified, where the lab tech/nurse, though she probably shouldn’t have, felt confident in diagnosing me. At a minimum, it sounds like you have a high baseline histamine load to get such a large wheal (raised patch at the test scratch site) like that. (Aka “dermatographism” – google it.) I would at least suspect you of a form of MCAD at a minimum. The $64B Q is can you get it diagnosed – even some of the sickest patients struggle to get positive test results, so in the end, as long as a doctor will help treat you presumptively and recognize your symptoms and suffering, you’re just as well off in some ways. I was diagnosed with Dermatographia last year. Reading this after it was posted in a group I am in I have multiple of these symptoms. I am going to mention this to my doctor as I have a appointment in two days. Ive also struggled really badly with so many medications prescribed by my pain management consultant for my EDS. My list of symptoms out with these illnesses are at least half, if not more of the massive list you wrote …. Hi Corrie, I’m so sorry for your struggles and suffering, but… I actually think you got lucky with that consultant, believe it or not. So few even know what MCAD is that to find one who is willing to even run any tests for it at all is amazing! So thank your lucky stars! That said, they were not wrong to run the tryptase now – that’s called a baseline tryptase. It shows how you are doing on an average day for you. Then, they should order (or have standing orders for) another one that yes, you want to get within 2 hours of a bad flare if possible. (Yes, tricky.) Because the majority view is that they will suspect you if you have a rise of 1.2 x N + 2 ng/mL where N is your baseline. And it’s good he knew to look for dermatographia – that indicates you have a generally high histamine load over all. Which is why the antihistamines will help a little. You might also try (or ask to) an “H2 blocker”, which is an antihistamine for the GI tract (where H2 receptors are in us). These are things like Zantac and Tagamet. You don’t want to take them all the time though if you can help it, as it will lower your digestive ability over time. But ask him about it next chance you get. I’ve seen all of your other complaints except “blocked bundle branch in my heart” quite common in teh large EDS groups I’m in, so they are not a surprsise to me. Just unfortunate – we really do win the bad health lottery with this condition, don’t we? No system is spared, alas, I’m sorry. At least you know you’re not alone, not crazy, and… may actually have a pretty good doctor. There is no single easy test, nor any single easy treatment path for any of us with it, though, sorry. So a huge dose of patience is in order. I feel your pain – literally. Hang in there! Glad my writing was some help. Not sure about in the UK – but I’m willing to bet you can get it somehow. Only thing is i developed very high blood pressure, not low. Also wonder- can low frequency noise be considered vibration? Low freq noise triggers symptoms especially the cardiovascular symptoms and has even sent me to the ER in hypertensive crisis. Trying to also figure out if recently developed “allergy” to milk oroducts of many animal species (cow, sheep, goat, camel,buffalo) could really be non ige mediated. . If i never got the dental wirk i think i would have been fine and the MCAS would just have been a nuicance but would not have ruined or shortened my life. (I actually recovered from first dental assault after about 8 months but the second round. A few laws later was permanantly disabling) anyway, tons of symptoms and chem sensitivities but too much to say here. Very interesting and informative article. Thank you for writing and sharing!! I saw my allergist yesterday for an annual check. (I take a lot of antihistamines to manage my allergies. 2 oral AH, AH nasal spray & steroidal nasal spray, AH eye drops, and have done allergy shots over 11 years. I am doing better but still struggle on occasion to keep allergies at bay.) He discovered a thyroid nodule (I have Hashimoto) and inquired if PCP is following. I inquired about a rash that appears on face and neck (neck redness persists and occasionally itches and has been happening for close to 6 years) that dermatologist (nurse practioner) suspects is rosacea even though no family history and if it could be thyroid related. Allergist has ordered a tryptase blood test. Out of curiousity to see what he might be looking for, I have been doing a little research which eventually led me here. I do not know if I have MCAD, but it seems as if that may be what he wants to rule out. He also mentioned a possible skin biopsy. My symptoms do mimic many of the symptoms, but they also mimic so many other disorders as well. It just seems what ever is happening, new symptoms are added with each passing year. (For me my new symptoms are new allergies (meds, food, odors, etc), itchy neck redness that eventually included my face with some swelling, hair loss, have had bouts of syncope for years that they never really investigated and just say probably orthostatic hypotension, GERD, I am finding myself somewhat anxious/panicky at times and a little more frequently (this is new, I have never been like this), I now have a higher resting heart rate and at times (esp during a reaction) and terrible headache. I have periods of extreme fatigue but chalk it up to living with autoimmune disorders: suspected mixed connective tissue disease, suspected sjogren’s, hashimoto, vitiligo, Raynaud’s. If it turns out to be MCAD…. can be treated, alleviates so many of the symptoms I am dealing with and can reduce inflammation …. I am ready!! There will also be some relief in knowing that we finally have answers. You’re welcome and glad the article and my writing are helpful! And that your doctor is suspecting and looking into a form of MCAD for you. It sounds like they are wisely trying to rule out mastocytosis (checking serum tryptase level at baseline and during a “flare” or reaction ideally to compare them, more). Anyway, good luck! Glad you found me. Thanks for all the great info! I started with a Carcinoid dignosis, then Mastocytosis and now Mast Cell Activation Syndrome. I am currently taking Cromolyn Sodium and have mixed results with overall results good. I have responded to the Cromolyn, just not 100 %. One week to my first follow up since starting the treatment. I still worry about the Carcinoid Syndrome, but not to much. Can MCAS become cancer? Gosh, that’s a tough question – I have seen a lot of cancer in the MCAD groups, but whether the forms of MCAD have any direct bearing on the incidence or not, I don’t honestly know. I half suspect that having elevated inflammation from any cause can lend to cancer, so somehow it wouldn’t surprise me. But, I don’t honestly know. Glad you found my information helpful. I find it interesting that Carcinoid Syndrome shares many overlapping symtoms with MCAS… hmm… gonna think on this now. That said, I would at least avoid as much sugar as possible in all cases. (It feeds cancer – and bad gut bugs which lend to many other problems.) Good luck! After 20 years of being diagnosed with fibromyalgia, yesterday I met with the rheumatologist for the first time in about 15 years and he told me that I did not have fibromyalgia but instead had EDS and MCAD (or S- I’ve seen both). He was probably one of the best doctors I’ve been to in forever (and I’ve worked in the medical system for 20 years, the last 12 or so as an office manager). He was with me for about an hour and a half and he just listened and typed my story in my chart as I talked. To be told I didn’t have fibromyalgia was not shocking to me. There are times I have wondered about it over the years but figured science wasn’t were I needed it to be at that point. Interestingly, even though it is not shocking, it has been challenging to process the fact that I don’t have fibromyalgia. It’s hard to put my finger on what I find so hard about it but I think the closest thing I can think of is, I’m used to fibromyalgia being the reason to explain my issues and limitations; for 20 years it has been the reason. Now it isn’t the reason anymore. It may sound strange but there is some comfort in it being fibromyalgia. When you look at me there is no visible signs of the things I deal with. In this day and age when you tell someone you have fibromyalgia, people on some level “get it.” It’s a familiar term and they are more understanding about the limitations and issues one has because on some level they understand fibromyalgia. They know there is pain involved even when you look “normal.” Now I have something called Ehlers-Danlos Syndrome and Mast cell activation syndrome. “What the heck is that?” Aaaand you are right back to the status of looking normal so you should therefore be normal. It’s not that I need pity or use it as a crutch, nothing could be further from the truth but I need you to not think I’m being melodramatic when I say that can’t be out in the sun, or I can’t were pants or jewelry because they give me hives; I can’t go for long car rides, and I can’t drive myself (I also have an eye disease), don’t bring that smell near me and don’t whistle or play the bass too loud, I can’t eat that or drink this because it will it will cause me weeks of pain. You may never know these things unless I have to explain why I’m saying No or I can’t. When I tell you I have EDS and MCAS be as understanding as when I said I had fibromyalgia and realize I’m not just being a drama queen or I should just “get over it.” I may look fine but inside my body is at war and it sees the enemy anywhere and everywhere. P.S. Doctors, when I tell you I’ve hypersensitive to medications, I really AM hypersensitive to medication. Ah thank you, I’m sorry you may share this lousy “constellation” of conditions that seem to go together so well yet be so poorly recognized, but am glad you have found a kindred spirit in me. (Hugs.) No, people can’t easily grasp just how much we can have wrong in our bodies with these conditions. Thank God for the support groups who do! Please research CIRS (Chronic Inflammitory Response Syndrome) also know as mould Illness. I have CIRS, so many people are suffering from MCAS because they are exposed to toxic mould in a place where they live, work or frequent a lot. If you look up Dr Jill Carnahan and Dr Sandeep Gupta – Mast Cell Activation Syndrome, you will find a video on youtube talking about this. I need to test the theory if mould avoidance will bring my tongue down, its been swollen for over 5 months. Getting away from mould in a pristine area, no wifi, bacteria etc can help reset the immune system. (I have only been camping once but my tongue swelling did go down.) Mould interrupts the DNA pathway so we get inflammation. Has anyone gone camping in a remote location and found a reduction in symptoms? I know this might sound like I’m a loon but there are other people who have tested the theory and it has worked for them. I was diagnosed with Mast Cell Activation Syndrome by my Dr who was trained by Dr Ritchie Shoemaker in how to treat CIRS. I dont know if my syndrome has progressed to Mast Cell Activation Disease. Hi Becky, I had not heard of this specific syndrome yet: Chronic Inflammitory Response Syndrome (CIRS), but… I can tell you that indeed, mold (mould) is a huge trigger for the mast cell disease community. And somehow it wouldn’t surprise me if a fair number (or most?) may even be susceptible to this, as I find a huge overlap in primary immunodeficiency issues in my support groups as well. I’m quite sure your hypothesis about leaving the area and staying somewhere dry and safe will help you to know. I’m frequently helping patients to suss out their various chronic environmental triggers, including mold. I just never heard anyone name this specific syndrome as a result. And yes, I love Dr. Carnahan’s work. I follow her. I myself am sensitive to/react to the penicillin class of anti-biotics and all mold based foods (vinegar, wine) and mushrooms (waaah, they’re so good for us). But I don’t think I’ve had this particular level of trouble – knock wood quick! I have friends with chronic Lyme, so I know just how bad that can be. I first learned about bio-films from one of them about six years ago now.